After months of awaiting execution, the Miiverse has officially come to an end. 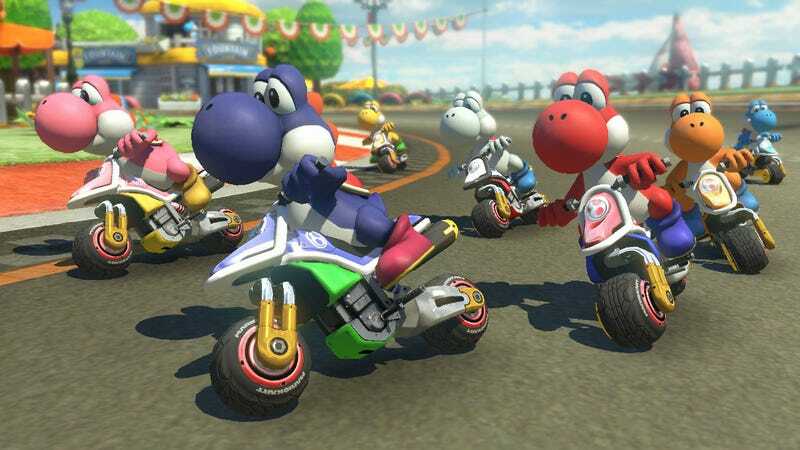 It was a tragic fate for the Wii U’s bizarre social networking service, but it also had an unforeseen side effect on the Gameological community’s long-running Mario Kart 8 On The 8th racing event. With the death of Miiverse came the death of Mario Kart 8’s tournament mode, which powered the monthly gathering, and so it’s time to finally let go of the original Wii U version of Mario Kart 8. But the event will carry on for racers who’ve made the transition to a Nintendo Switch and a copy of Mario Kart 8 Deluxe. And since today happens to be the eighth of the month, Our new host, DrFlimFlam, has graciously got the ball rolling and the festivities are set to begin tonight at 8 p.m. Central time. All you have to do is boot up the game, hop online, and plug in the tournament code 4818-8770-6667. But wait, there’s more! If you’d like to chat with your fellow Gameologinauts while you’re racing (or at any time of day, really), you can download Discord and head over to the Gameological group.